You can access the Detroit River and consequently Lake Erie and Lake Saint Clair from the canals of Grosse Ile. There are an abundance of restaurants and recreation areas that you can access from there. Water quality? The water quality is generally good (nice blue water all around the island). Building restrictions: Building requirements depend on where you live on the water. The canals limit the sizes of boats as some of them have bridges with low clearance. 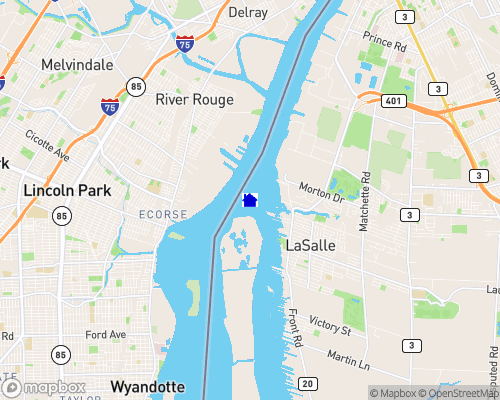 The outer edges of Grosse Ile that border the Detroit River have various docking and hoist options but the river can accommodate barges so it will take just about any size of personal watercraft.